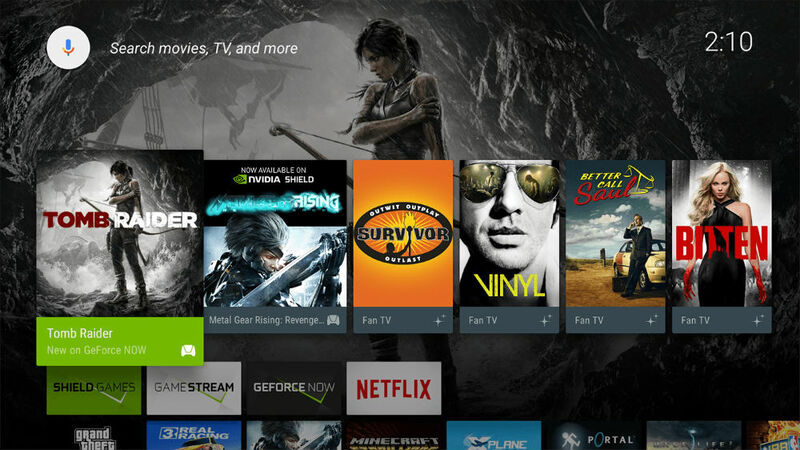 As teased during CES in January, NVIDIA is rolling out Marshmallow to owners of the SHIELD Android TV starting today. Inside, Marshmallow includes the ability to turn an SD card into encrypted internal storage for additional apps and games on the set-top box, as well as enhanced Home screen customization options. While Marshmallow itself brings many changes, NVIDIA worked in quite the changelog from their end. Once updated, users will have the added benefit of the Vulkan API for high-efficiency access to SHIELD’s graphics hardware, improved color support for YUV 4:2:0 video playback, an option to set 1080p 60Hz resolution on Ultra HDTVs, and you can now access the power menu on the Home screen by holding the Back button. For those purchasing a SHIELD after this update rolls out to all units, setting up your box will be insanely simple. Instead of typing in account info and passwords on SHIELD, all you need to say is, “Ok Google, set up my device,” from your smartphone. At that time, your account info will automatically be beamed directly to your new Android TV. Fancy, right? The update is rolling out right now, so when you get home after work tonight, grab it. Poll: Buying the Samsung Galaxy S7, Galaxy S7 Edge, or LG G5?